Marshmallow fluff: Olympus mons 02 features bright silver mirrored lenses in a polished marshmallow acetate frame. Faux ivory side inlays complete this rich look. 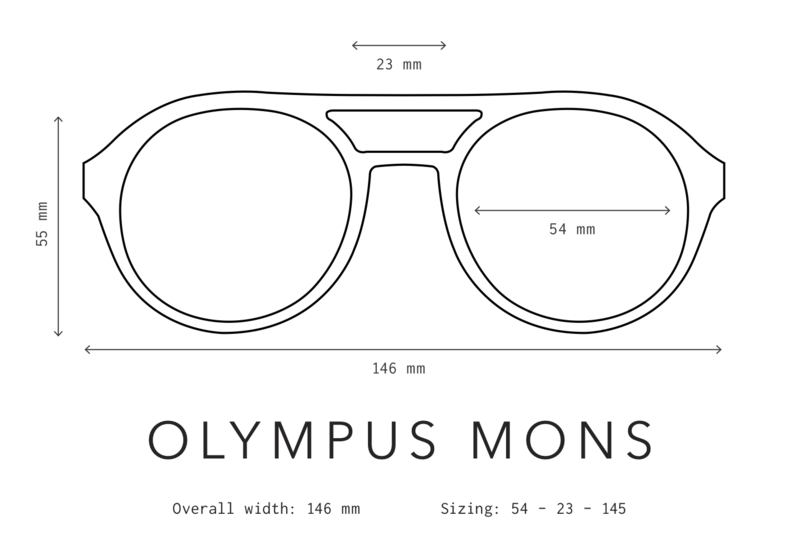 Oversized Olympus: Olympus mons is a bold, modern acetate frame with round lenses and a double bridge brow. Each frame is meticulously handmade in Japan and features high-quality shatterproof lenses with 100% UV protection. The Olympus Mons shape was designed to be flattering on all faces. Its super-durable construction and smooth, high-quality hinges ensure these will be your favorite shades for years to come. Currently the largest known volcano in the Solar System, Olympus Mons (Latin for Mount Olympus) is the enormous shield volcano on the planet Mars. It formed during Mars's Hesperian Period, and was visible as early as the 19th century to astronomers. Our oversized circular frame takes inspiration from this immense volcano, using our largest lenses to date!